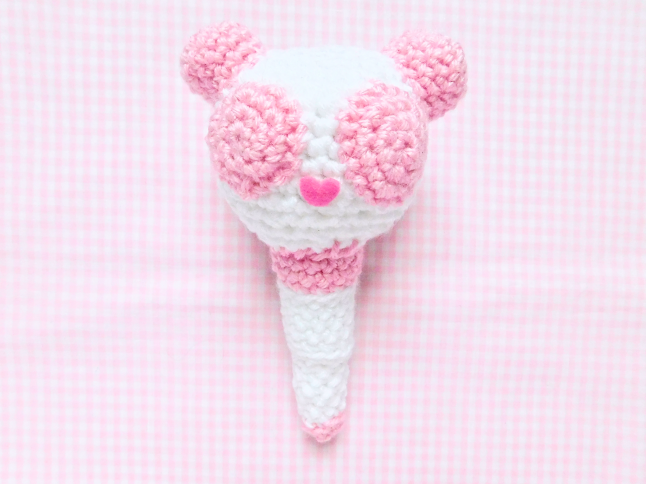 Welcome to my first crochet pattern of the year. 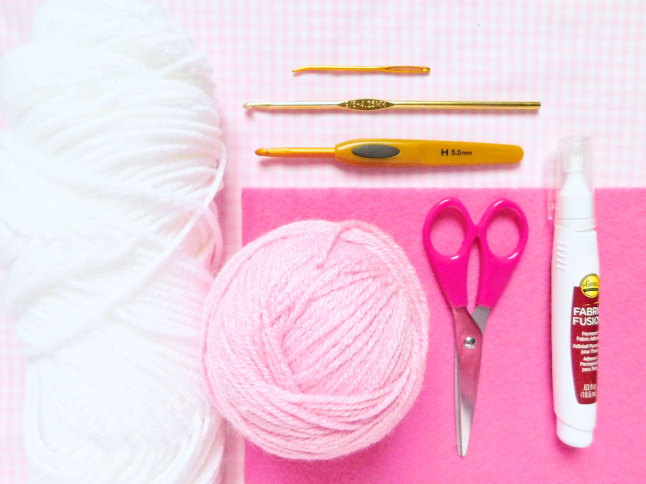 This year I want to change up my crochet patterns, making them easier to read. 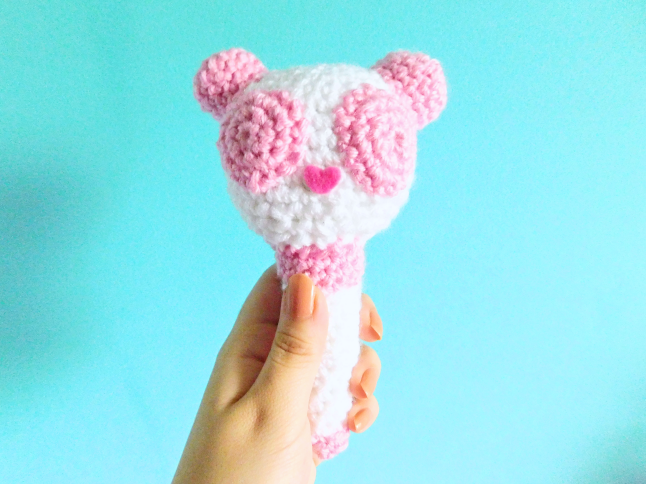 I've been posting crochet patterns on my blog for a very long time and gone through different types of crochet pattern formats but after looking through my Ravelry page I noticed a lot of people had difficulties understanding my patterns so this year I'm going to try a different format from my previous crochet patterns. If you actually crochet my patterns let me know if you prefer the new or old pattern writing. Apink recently made a comeback with %%(eung eung). 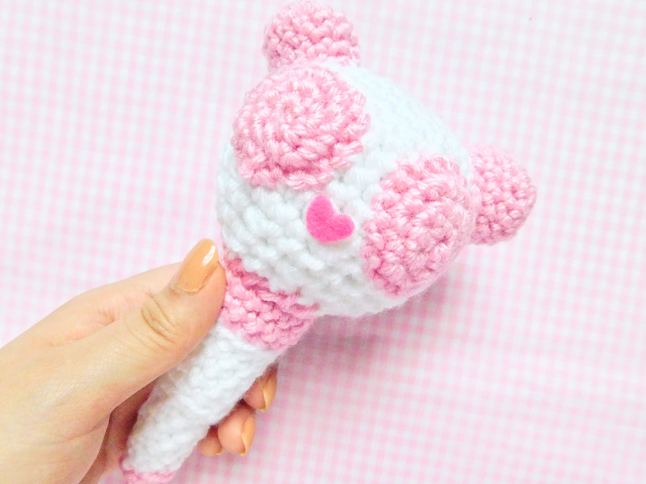 I've always wanted to crochet Apink's fan stick because it's probably the cutest fan stick I have ever seen! Their fan fandom is called Pink Panda and their official color strawberry pink which represents their fan/light stick perfectly. 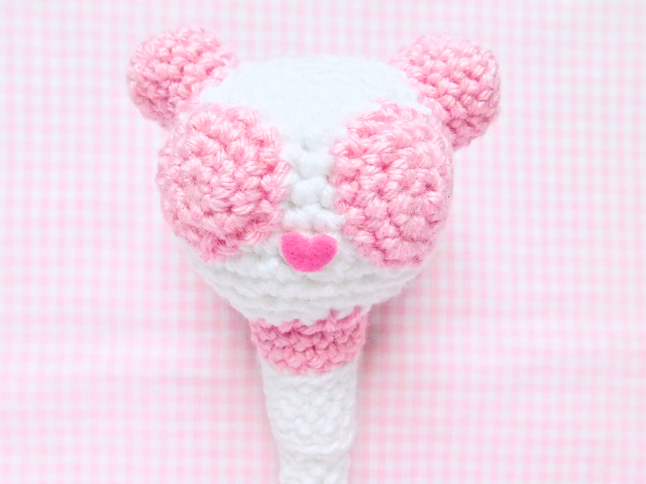 With yarn needle, sew the ears on the side of the head and the eyes on the front side of the head. Stuff with polyfill between and sew the head to the stick. Lastly, with pink felt cut out a heart to use as the nose and glue. I tried to crochet a heart shaped nose but I didn't like the way it came out so I just used felt. What's your favorite Apink song?